SnapMunk: the Galaxy's Best Source of Tech & Startup Insight and Entertainment. 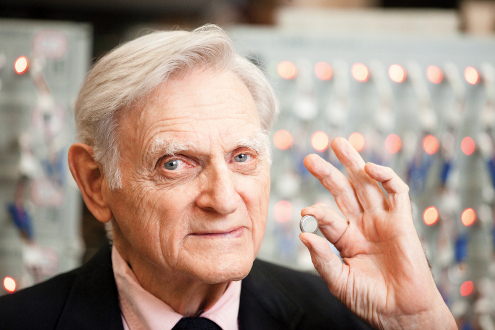 Professor John B. Goodenough, apart from having an ironic name, is one of the great influential inventors of the 21st century and still an active researching member of the scientific community despite the fact that he is 94 years of age. Among his many notable awards and ground-breaking papers, the average consumer owes the man a tremendous debt for a singular invention, the Lithium-Ion battery. Yes, that very same battery that powers the majority of all rechargeable devices in the modern world. Smartphones, tablets, laptops, electric cars, nearly every portable device uses such a battery. Except now, Dr. Goodenough is about to set the standard again. 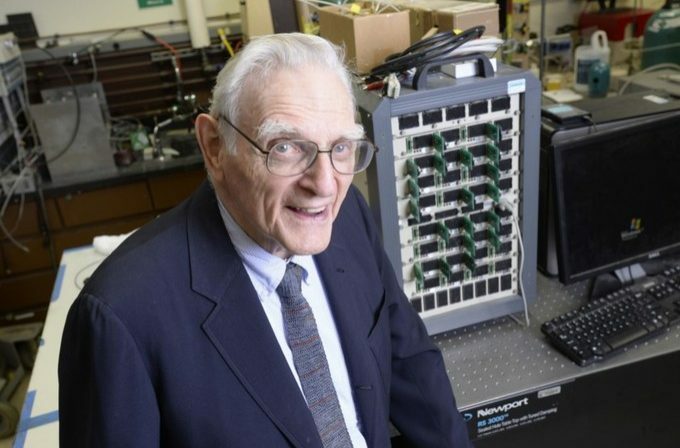 Dr. Goodenough worked on his new revelation at the Cockrell School of Engineering at The University of Texas at Austin along with senior research fellow Maria Helena Braga to create a battery that would circumvent the known issues with the lithium-ion battery. This included such things as the difficulties with low temperature, the inability to handle excessive recharges, and the explosions. The idea is that the new battery uses glass electrolytes to conduct the charge from the positive to the negative electrode. As such when charged rapidly there is no risk that dendrites or “metal whiskers” as they are commonly known, forming and thus bridging across the electrolytes, resulting in an explosion. In addition, the entire assembly of their proposed design is environmentally friendly “The glass electrolytes allow for the substitution of low-cost sodium for lithium. Sodium is extracted from seawater that is widely available,” Said Braga. Their results with this technology were released in a paper to the Journal of Energy and Environmental Science. In it they demonstrated that their battery could sustain more than 1,200 cycles without issue, possessed three times the energy density of a normal lithium-ion battery, and that it could operate at -20 degrees Celsius (-4 Farenheight) and retain high conductivity. SnapMunk is dedicated to providing readers with all things interesting, exciting and entertaining in the world of tech news, startup companies and startup culture. With a broad lens feeding a highly curated stream of content, SnapMunk offers thought-leading perspectives and unique insights into technology current events, new business ideas, cool new technology and exciting investment opportunities. It is our goal with SnapMunk to ensure that those who are interested in technology and startups are not only well-informed but intellectually inspired and thoroughly entertained. I am happy to hear this. Honestly, this guy is at the end of his life cycle and I am hoping there is someone coming up behind him that can provide the same advancements to the battery in the years to come. Longer running times in a smaller body. that is where the battery world needs to innovate. It would be nice to see that batteries are not going to explode or keep me from traveling on an airplane sometime soon. If batteries going into the trash are impacting the environment that much, I say great job. However, until now, I didn’t really think of that part of my battery going dead and tossing it in the trash.